The Hills are alive with the sounds of Summer! 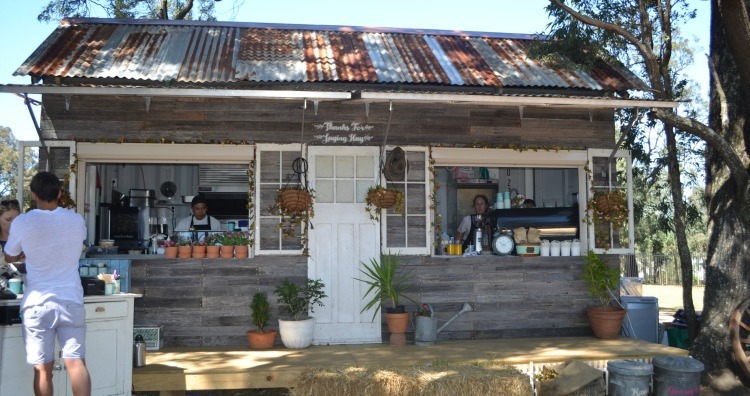 The Hills Shire launched their 2016/17 Summer Series of events with the Grand Opening of Lil Miss Collins Pop Up Café on Saturday 5th November at Bella Vista Farm and will be open for service until the 28th of February, 2017. 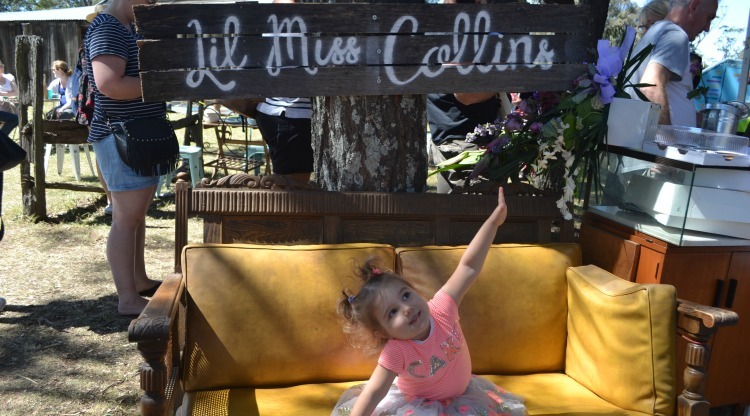 Lil Miss Collins is an outdoor animal and child friendly café, with the freedom for kids and pets to explore the beautiful grounds of Bella Vista Farm while parents and owners can rest easy knowing that if either decided to cause a ruckus and spill most of their meal on the floor they were in the best place possible. We thought we would be clever and avoid the lunch crowds and decided on morning tea with the kids, however, when we arrived we were greeted with the breakfast crowds. We had a short wait before being allocated a table in which time I thoroughly enjoyed watching Audrey chasing butterflies on the hill. Being a tea aficionado, I was very impressed to see a Matcha latte on the menu and my husband Stuart ordered a Vanilla Coffee. Toby and Lucas were quick to order a Choco of Block Shake: Oreos, chocolate ice cream, milk, Tim Tams topped with whipped cream, Oreo, Tim Tam and melting chocolate soufflé, while Audrey opted for a Nutella Tower Shake: Nutella, Peanut Butter, milk, vanilla ice cream topped with whipped cream, candy popcorn, wafer stick and melting chocolate soufflé. This was all topped off with a round of Nutella and jam doughnuts. 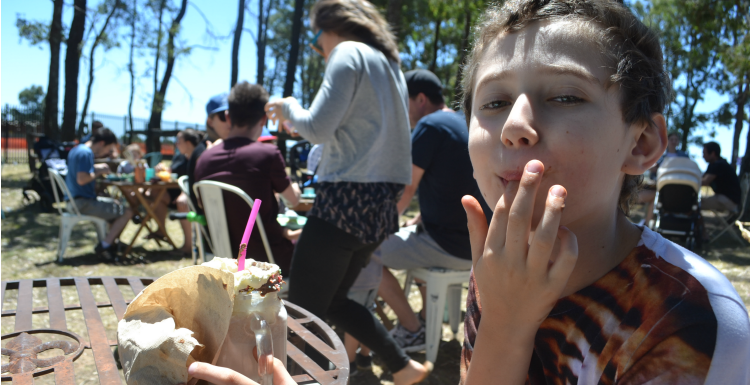 There was only one slight road block to our morning tea, because it was quite busy, which is always a good sign for a Grand Opening, there was quite a wait on the shakes…..patience is a virtue but my kids ain’t got it! Two shakes eventually arrived but they forgot about the third, so it was another wait for that to arrive…..hats off to my eldest Toby who was a trooper and said it was well worth the wait. While we were ‘patiently’ waiting for the shakes to arrive, the kids went to observe the Kindy Farm and I got talking to a lovely young lady by the name of Jessica, who worked for the Hills Shire Council as a media and communications officer. She personally introduced us to the Hills Shire Mayor – Yvonne Keane, who in my opinion is a truly remarkable lady and so enthusiastic about offering lots of family friendly events in the Hills area. She graciously posed for a photo with Stuart and the kids and we were then invited to take a tour of the historic Bella Vista homestead. This stunning 18th century hilltop home was owned by John and Elizabeth Macarthur and was the birthplace of Australia’s Marino sheep industry. Recommend taking some insect repellent, especially if the kids want to roll around in the grass like mine, the mozzies had a feast! If there is a bit of a wait, have a few distraction strategies up your sleeve – ellaslist has some great ideas! 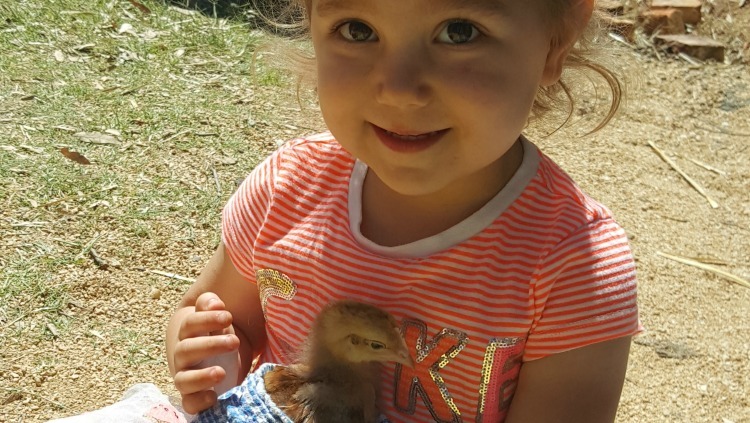 What makes the cafe kid-friendly – high chairs, table service, dedicated kids meals and farm animals. The Food – Serves breakfast, lunch, coffee and drinks. Organic, vegan and vegetarian options are available. 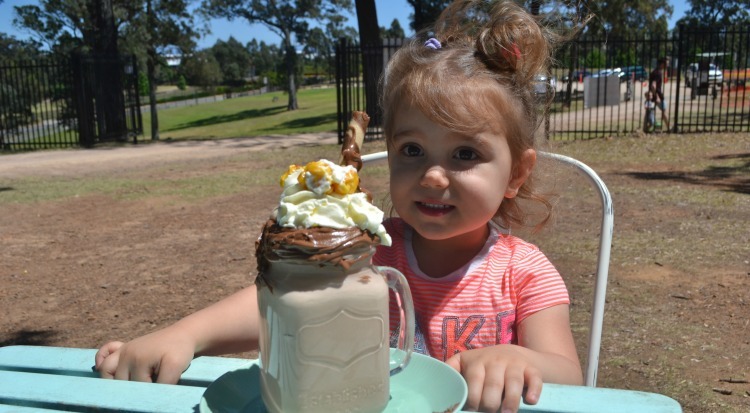 Value for money – Meals start at $12, kids meals start at $6 (shakes were $12). Who is the cafe best suited for? – couples, families and pet owners. What did you love – the fact it was an outdoor cafe and I could watch the kids run around in open spaces. Special feature – set in the grounds of one of Australia’s most important historic homes. Omg, that sounds fantastic. Have to bring the kids, they are not very keen on sitting still at cafes, so this place will be perfect.